Welcome to the information age where details have been emerging faster than ever about political corruption in ways never before seen. Here in the US we've been witnessing a deep state war where criminals at the highest level of government, particularly the Democratic party with respect to the 2016 presidential election, have been caught planning to steal the election for Hillary using not only election fraud, intimidation, provocateurs, violence, criminality and corruption but all of this with the help of the mainstream media themselves. It may seem like something out of a novel but amazingly all of this is printed in black and white for the world to see in many of the DNC, Hillary and John Podesta emails revealed by Wikileaks. Yes, Wikileaks and Julian Assange changed the nature of the political spectrum. The Wikileaks have allowed well meaning Americans who care about truth to see for themselves what's really going on behind the scenes. Thanks to the Wikileaks emails we all discovered the horrific dark world of pedophilia and we saw last fall what happens when the citizens of the world expose this pedophilia. We watched the counter-intelligence reaction to these revelations- the "fake news" psyop and the "Russia" election hacking psyop. Both seemingly concocted strategies to deflect awareness of their crimes. That alone shows you how desperate the ruling elite are. And now we're dealing with what I'm calling "pizzagate 2" or the Seth Rich murder details. 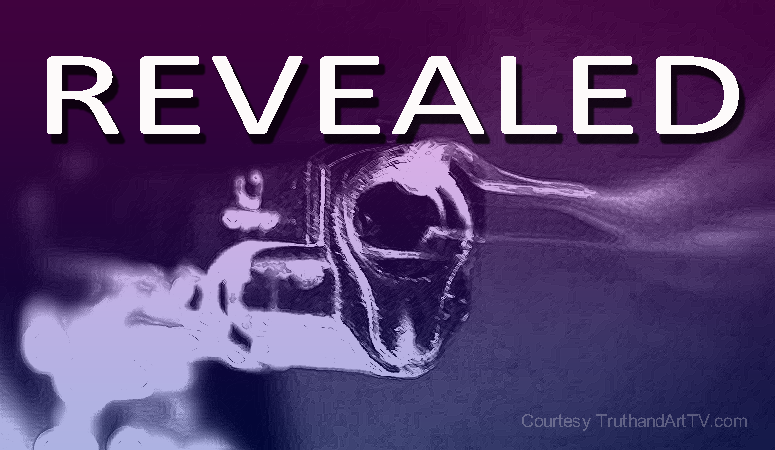 Brand new details are now emerging thanks to Kim Dotcom an entrepreneur and the founder of Megaupload.com. 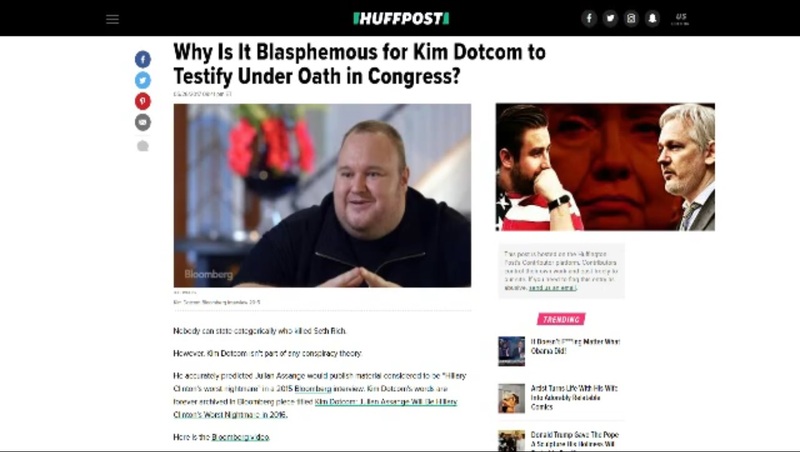 Just a couple of days ago Dotcom tweeted out a link to a HuffingtonPost.com article titled 'Why Is It Blasphemous For Kim Dotcom to Testify Under Oath in Congress?' The question itself begs a reasonable answer. Of course Kim Dotcom testifying under oath to Congress to help solve the Rich murder would or should be a great thing for humanity, right? Apparently not! According to the controlled Liberal Left mainstream media apparently wanting to know how Seth Rich was murdered is "demented" and "conspiracy theory" according to them. The resistance to anyone wanting to know the truth is stunning and frankly frightening. The Huffington Post article written contributor by H.A. Goodman describes and posts an accompanying video showing how Dotcom interviewed with 'Bloomberg' in 2015 and tells about how Julian Assange back then already had damning information on Hillary and company that would bring down her presidential run. This is directly contrary to the fake new narrative about "Russia" being perpetually pushed by the Liberal mainstream media. And so because this information is so damaging to the Liberal Left again and the "Russia" narrative, not surprisingly within just 12 hours or so the article was mysteriously pulled by Huffington Post. Thankfully however, the article can still be found here where it was archived. This is yet another reminder to everyone that the Wikileaks emails are very real and thus the information in the emails is very important and should be taken serious by all of us because the emails show that the lives of many children are at stake, that there was and still is out of control corruption inside what was the Obama administration which continues today, and the emails show us that mainstream media is corrupt to the bone and should never be trusted again. The Wikileaks emails also demonstrate that the Republic and the rule of law really is on the verge of collapse and we must do something now to restore order. Will the Trump administration step in and act on what we now know? America awaits.